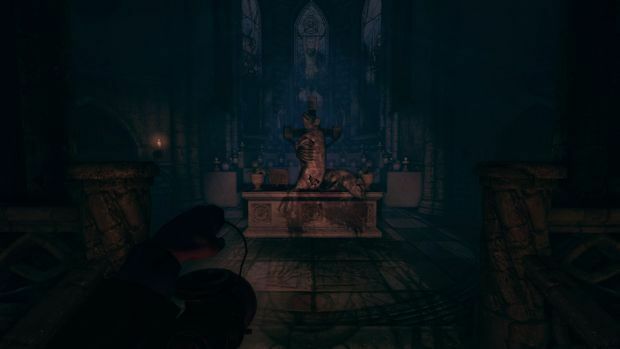 Amnesia: The Dark Descent is a beloved title for a number of reasons. As well as becoming a viral darling thanks to a cavalcade of shrieking YouTube videos, Dark Descent was praised for bringing back a sense of true survival horror at a time when so many publishers were adamant the genre was dead. It was also just a straight up terrifying game, which helped! For the sequel, Frictional Games has drafted in the talents of The Chinese Room, best known for its story-driven excursion into vagueness, Dear Esther. 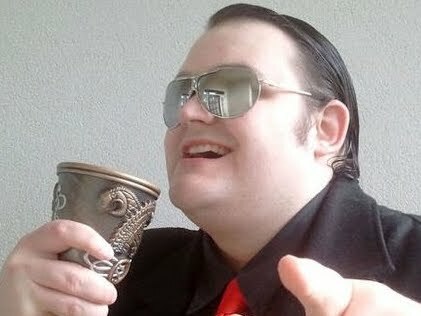 The blending of survival horror and a studio famous for its contribution to what are popularly called "art games" makes for an intriguing cocktail, one that could potentially delight, but also severely disappoint. A Machine For Pigs straddles the line. 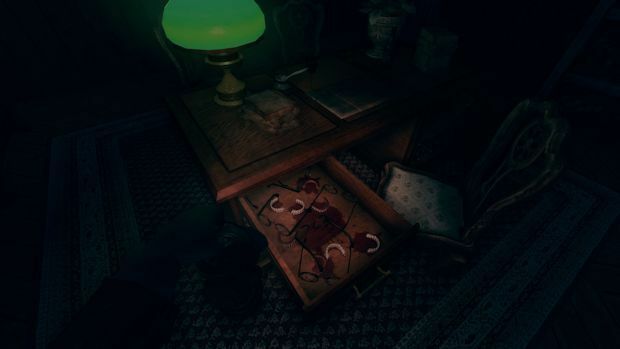 The Chinese Room's talent for storytelling and mystery works very well in Amnesia's twisted world, but its love of making players hear, rather than play, its mysterious stories will certainly rub some Dark Descent fans up the wrong way. With a game as reliant on an unravelling story as A Machine For Pigs, it's difficult to discuss almost anything relating to narrative without ruining the whole thing. To give you the basics, however, the year is 1899, the turn of the century, and a lone man in an abandoned house is in search of his two sons. To say much more about the story itself would serve us a hard turn into spoiler territory, but suffice it to say, The Chinese Room weaves a most disturbing tale. Amnesia benefits from dabbling in medical horror, by far one of my favorite subgenres, and overlaying a genuinely authentic Victorian atmosphere over the environments and dialog. Audio recordings and documents unveil the game's backstory, and all carry with them unnerving surgical detachment married to a stark romanticism of language. As an exercise in period horror, A Machine For Pigs displays its pedigree with pride. Much of what made The Dark Descent enjoyable has been carried over, too. As one might expect, a vast amount of the game is made up of walking through dark rooms, jumping at creaky floorboards and clanking noises. Every now and then, a minor puzzle may provide a hindrance, though such tasks usually involve very simple activities such as replacing broken fuses or pulling the correct levers. Thorough exploration of each area to find hidden switches makes up much of the experience, and discovering each gramophone or discarded letter is required to further understand what soon becomes a most perplexing story. Enemies are few and far between, and cannot be directly combated. As with Dark Descent, the presence of monsters requires switching off the light, hiding quickly, and praying to God you sneak out alive. The fear of making one's move, the often disarming terror at the idea of alerting the twisted creatures that stalk the halls, has all been preserved from the original game, though the instances are incredibly rare, perhaps moreso even than last time. For all its atmospheric preservations, the influence of The Chinese Room is keenly, sometimes overbearingly felt. For one thing, Pigs is far more about walking and having a story told to you than Dark Descent was. Gameplay elements such as light sources, tinderboxes, and the sanity meter have all been removed, leading to a game with a lot less to worry about. A Machine For Pigs gives you a lantern, that can be switched on or off at will, and that's about it. Even tactical use of the lantern is rendered moot, since there are so few enemies to deal with. Make no mistake, this is a game that wants to tell you a tale, and it does all it can to ensure you pay attention without distraction. Thanks to this often exclusive emphasis on story, much of the ground-level horror has been reduced. The concepts involved in the narrative are unsettling on a psychological level, but the scares themselves, the stresses of maintaining one's sanity and safety, are at a remarkable low in comparison to The Dark Descent, and fans who wanted more of the same may well be disappointed by what is far more of a guided tour than a survival horror experience. It wouldn't be unreasonable for some horror fans to think, "is that all?" when the game's four hours are up. Those who find themselves drawn into the story, however, will be impressed by the presentation, especially the use of music and the gorgeous design of the environments, both of which add real weight to the game's most dramatic moments, even at times when the plot itself borders on the incomprehensible. The whole adventure builds itself up to an impressive crescendo, escalating the pace on a subtle level and pulling back the curtain on its weirdest elements at the perfect moment. The evocative imagery the dialog drums up, especially the very real and dismal meaning of the titular "Machine For Pigs" itself, delivers a different kind of horror experience from the jump scares and visual body horror we're so used in games, a mentally alarming tactic not seen since the earliest Silent Hill games. 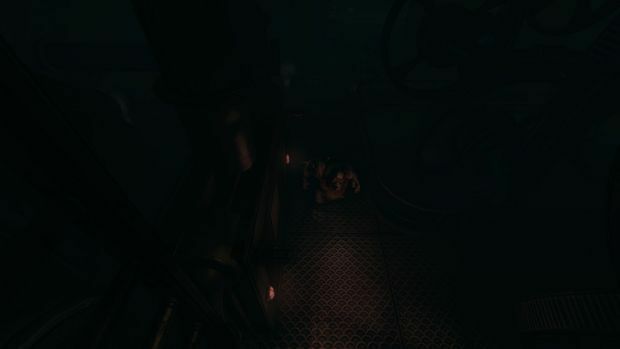 Even if it's low on the scares, there's an undeniably "creepy" vibe that permeates A Machine For Pigs, and it effectively keeps the game tense, even when it's obvious there's no immediate danger. Amnesia: A Machine For Pigs is a threadbare successor to The Dark Descent in several ways, taking out tangible gameplay in order to provide an experience undeniably closer to Dear Esther than many of us may want. Even so, it at least makes an effort to compromise and bring us a lot of the atmosphere enjoyed in both Amnesia and Penumbra, while the perturbing story and half-surgical, half-industrial imagery contribute to an evocative game, if not a wholly satisfactory one. It's hard to recommend A Machine For Pigs to every horror fan, as it provides something that could so easily delight or dismay, something that is unique and effective, but potentially shortchanging. If you want to be told a vexingly bizarre story presented with a real sense of style, The Chinese Room may have exactly what you want. If you're a massive survival horror fan who wants to be made to scream, however, you probably want to stick your snout in someone else's offal.